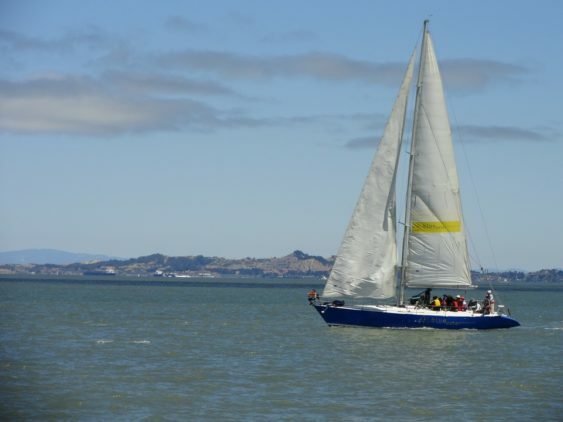 The Cal Sailing Club offers Free Sailboat Rides for the public aboard their fleet of dinghies (which are fast and zippy) and keelboats (larger and more stable). You’ll have a spectacular voyage and might get great views of UC Berkeley, the Bay Bridge, San Francisco and the Golden Gate Bridge. Plus you’ll learn all about boat and waterfront safety, and about the ecology of the Bay. This is to help introduce you to the club and hopefully, you get a great taste for the sea and want to become a member. Arrive Early: We’re told this is a small sailing club and so this event isn’t meant for large crowds (and a lot of people show up on nice days). So please note sailing is first-come first served. This open house can get very popular and so your best bet is to arrive early. Want to skip the open house and become a member to learn to sail and windsurf? Lessons and use of equipment are all included in the club’s membership, which is only $120 ($99 students/seniors) plus 2 hours volunteer time for 3 months of fun. The club is non-profit and volunteers provide all the teaching, repairs, and administration. Each Open House typically runs from 1-4 pm. Heavy rain or excessive winds many cancel.